This Singaporean-Cambodian production is probably the longest and most controversial Cambodian movie in Cambodian cinema history. The main reason is its sensitive scenes, the Cinema Department find quite disturbing to the audience. With all the media fever, I finally came to see it at Legend Cinema – TK Avenue, a while ago. My review here has eventually been twisted a little bit from previous ones! Anyway, kudos to my film colleague, Mr. Chhay Bora, for raising the bar with 3.50. Some of you may be wondering why this feature drama has been censored for two years. Well, it is said a few scenes are too obvious to be accepted: a torn Cambodian flag, a cigarette throw on the street, a sad ending walk towards the governmental Peace Palace. Should I add how virginity is “repaired” or faked by a notorious doctor? Or is there any other taboo element off the screen? I’d rather call 2013 a year of great transition, in which little was achieved as planned or is delayed to 2014. But it kept me moving and hopefully growing with more experience and fun. I can feel the momentum from year to year. So when you read this, bear in mind that I’m just a human like you! We spent almost one year living with Granny. Her “home” got bigger with our presence: my sisters, brother, his wife and three kids and me, with Phanit once in a while. Actually, her house was spacious enough to even accommodate three of her young relatives. Little did we realize that one of those three stole our belongings until Granny lost her jewelries. One of those belongings was my new laptop. Despite this theft, we got back up and felt relieved that he was identified and his family is willing to repay us for him. Anyway, the best part to live there was that Len got engaged at Granny’s. Her fiancé is a fruit dealer, from Prey Veng, a bit younger than she. Our house in Tuol Sangke was finally done with renovation in last November. It looks more spacious, livable and no longer rat-infested! Yet, the cats of our neighbors still use part of our house as their toilets! There are still the seven of us, regardless of our cousins’ occasional visits. Also, I travelled more than ten thousand miles within the year back and forth between Phnom Penh and Siem Reap. Phanit and I have no solution to fixed settlement yet. 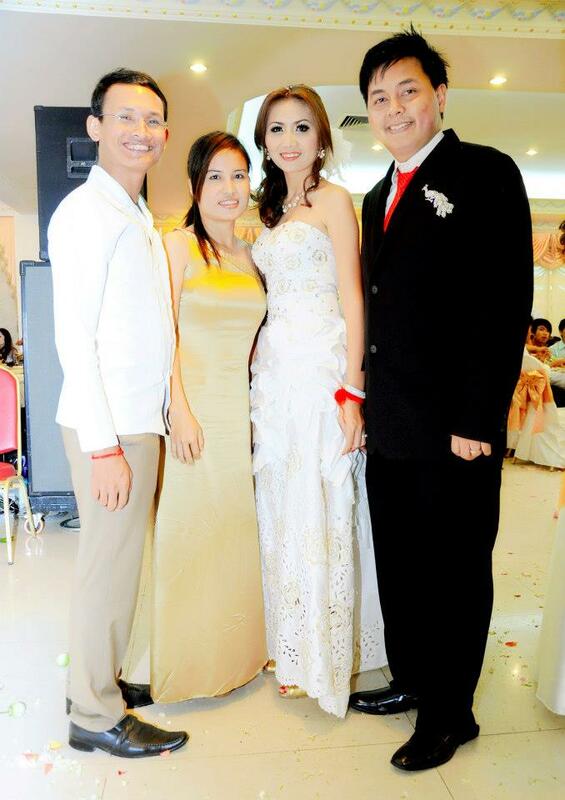 I have big dreams that can only achieved in Phnom Penh. She wants a simpler life in Siem Reap. 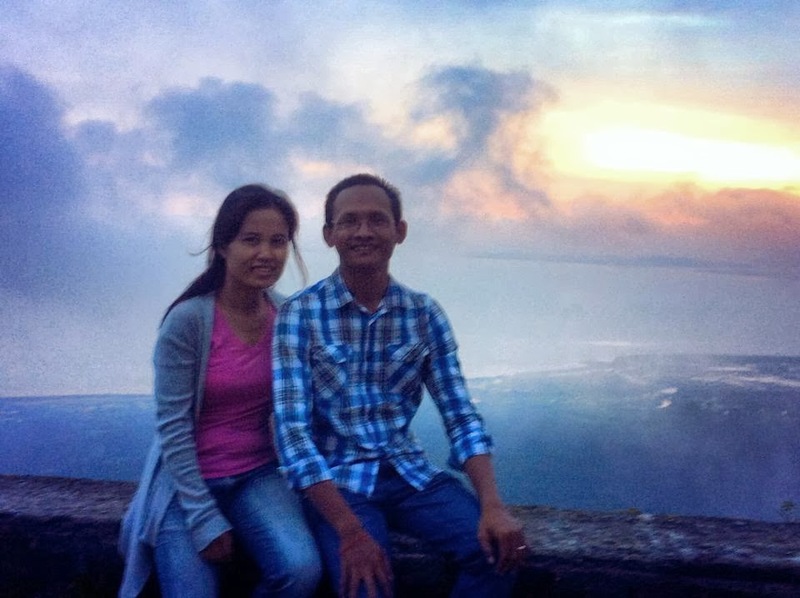 Our sweetest moment was at Bokor in August experiencing the nature and all-year cool mountainous weather. Then, in late last November, we managed to celebrate our first wedding anniversary in a top-notch restaurant in Siem Reap. That was probably the longest period of the year I spent with her. Besides, I felt happy that she sounds more ready to have a baby for this year. You may wonder why I stick to her. It’s because we keep challenging each other – if not fight! Since last September, I have ended my business partnership and am now about to register as a sole-proprietorship. Within this transitional period, I purposely reduced my brand exposure as I’m planning to rebrand it. “CallMe” is actually already an international brand. Still, my client base remains firm or has even increased, which made me hesitate to quit my translation services. Anyway, all I could do for business visibility was to intervene in PSE’s (January) and RULE’s (June) class to share my business experience with students over there. Of course, RULE’s Master Degree students threw me more complicated questions. But no answer was easier than an honest one. Again, for PSE, I was invited to evaluate the business plans prepared by their students in mid-June. Their ideas sounded more interesting than those from 2012 with businesses like a cricket farm and a dancing club. As I misunderstood the rental term of my former business partner, I had less than four weeks to find and move to another office. 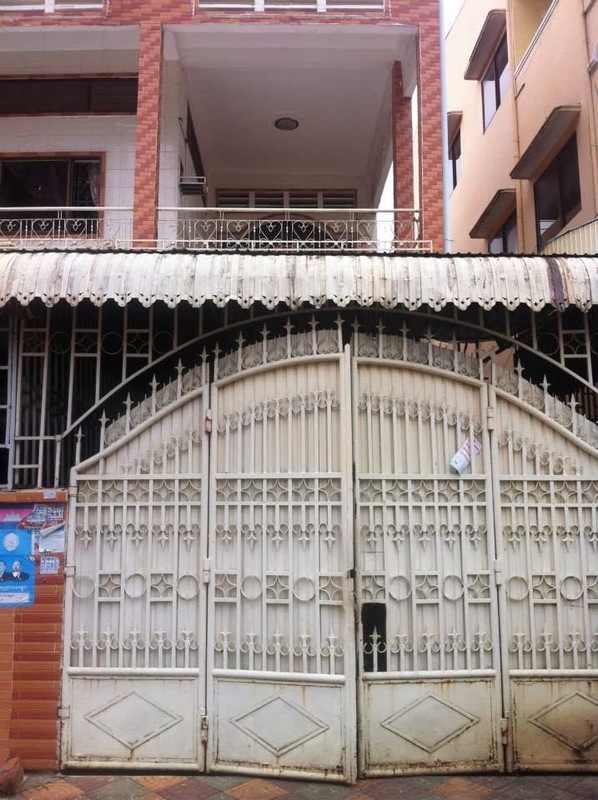 I ended up with a two-unit floor in Tuol Svay Prey, owned by the same lady who rented her house in Boeung Salang to my former business partner. Then, I need to wait three months for a better cash flow arranged by my wife. I finally got to borrow bits from different friends so I can process the registration from this month. What surprised me is that the whole legalizing fees goes from $750 to $950 for the sake of tax collection reform! Anyway, one of my main purposes to register this business is to upgrade its image and attract more clients, sensitive with its legal status. I’m, too, lucky to have a loyal accountant to her job(s) and me. Although asked by my former business partner to help him out, she refused to do that as she thinks he didn’t treat her right. The lesson here is, employees nowadays are not slaves or workers in the industrial age. They should be considered as colleagues or even partners to be able to move forwards together. Besides, I still could hardly set up my film business, as I have not yet found a right candidate to manage my translation agency. But I could spot some talents I can work with in the future. Like in 2012, FilmCampKH and Chaktomuk Short Film Contest (FCKH-CSFC) were organized again, this time at PUC (South Campus), thanks to Dean of Media, Ray, Kounila’s main contact. Although the audience turnout was not as big as expected, I was quite happy that most attendees took strong interest in learning about film. In addition to generous sponsorship by Ministry of Information, Sabay, Westec, we got the support from MekongTV in live-streaming our events and OneMemory in shooting these. The great add-on for FCKH was our trip to Rabbit Island, Kep, to make short films within 24 hours and that for CSFC was the series of screening of these films and others in French Institute, Meta House, Bophana Center, Platinum Cineplex, Legend Cinema. Almost all sessions ran full house, along with concerted communication with our respective partners. In terms of co-production, with Akasa Studios, we made two films: “Koh Ker – The Lost Wonder” (Khmer Film Foundation’s documentary teaser premiered in June) and “The Lock” (my personal first short horror-comedy premiered in July). Both short films quite appeal to our audience. Ever since, they’ve become our regular production partner. Later, Rithea and I came up with a series of short films to be combined into a feature film on Cambodian children. Even though commercially unviable, since last October, World Vision pledged to assist us as our senior associate producer. With our existing capital, we only realized one of the five. The remaining films are to be shot from this month till March. They are expected to be premiered during our Festival this year. Which one? It’s the one expanded from our Chaktomuk Short Film Contest. As we wish to make it bolder, better and bigger, we need a great partner like Bophana Center. For the last several years, we’ve already worked together in some way or another. The Center will take charge of communication, technical aspects and film collection. Despite the slow progress, due to our respective full-time commitments, we’ve been moving forwards with regular meetings to make sure we make FCKH-CSFF happen again this year in Cambodia. With loose activity in KFF, but similar to 4K’s, I proposed to KFF the merger of the two teams into one: 4K. This will be confirmed very soon. 2013 saw the balance of film categories I watched: fiction and documentary; commercial and artistic/festival. I enjoyed the free premieres from Legend Cinema only till last July as they changed their promotion policies! Come what may, nothing could stop me from pursuing my viewing hobby, even I had to pay for next movies. Bophana Center also invited remarkable hosts like Rithy Panh, Richard Kuipers, Chhorn Bunhom, Mathew Robinson to their Cine-Club sessions, which provided me with more film insight. My foreign favorite movie of the year was “3 Idiots”, Bollywood blockbuster and my Cambodian favorite, “Gems on the run” by my senior film colleague, Mr. Sok Visal, both screened during Cambodia International Film Festival 2013, which experienced its escalated success. Maybe home is the only place I need when I feel tired of the day! So only when traveling, I explore something new to refresh my mind. My first trip of the year was with my staff to Sihanouk province. They had been long waiting for it. With some company subsidies, our overnight tour appeared cheerful and memorable. Then, like I planned in 2012, my family and I went to visit Preah Vihear temple during Khmer New Year, still under territorial controversy. Despite the quiet and conflict, the complex offers us a great steep view and some sense of pride as it was listed as a world heritage a few years ago. But I was left to wonder why those border soldiers still needed our money and supplies while lots of donations had been sent their way. In August, we made another trip to Thailand all the way from Siem Reap to Pattaya and stay a couple of nights in Bangkok before returning to Siem Reap. Unlike in 2012, I got more time to discover the Ladyboy’s City by night, especially with Phanit, her mother and aunt. Two sites there amazed me: the artificial water village and the all-wooden Sanctuary of Truth. On this fifth trip to Bangkok, the Thai capital never ceased to lure me into shopping, of course, for small gears! The big plus for my visit this time was our cruise on Chao Praya river, with their exquisite buffet and electrifying gay-cabaret show. As the world is small, I had the chance to meet my kind German friend Thomas again, who just moved to Bangkok. Over an hour of lunch, we discussed a variety of topics, from lifestyle to politics! Last September, as I mentioned above, marked our sweetest period of the year as we could be away from home together. Although Phanit visited the hill while much younger, she kept excited about the view and weather there. I got excited rather about her being alone with me! You can tell why as I’ve been there a few times already. But this time, we had Thansur Bokor Hotel accommodate us for a couple of nights. The experience was quite rewarding, except that we didn’t have too much choice when it comes to meals. During Pchum Ben, my family and I enjoyed ourselves again at the beach of Sihanouk province. We were lucky to get Phanit aboard as she rarely said yes to my/our trip proposal! It was joyful to see how kids had fun over there. On the way back, they continued their play with water at Kirirom. But the following trip to this cool park was more productive as I headed back there with my film crew to shoot “The Missing Moment”, directed by Rithea as part of the 5 Kids film project. My meetings with Mastermind Club were consistent throughout the year, but less productive. It seems like, since Raksmey and Delice got respectively pregnant, the team has lacked energy to carry out income-generating projects like “Recharging Saturday”. We tried a few plans, say, in social media and training services. But they fell apart even before we actually launched it. Needless to say, each of us kept busy with our daytime commitments, in addition to maternity. As usual, I support JCI activities. For the first 10 months of 2013, I was just a member who tried to keep myself in the loop. In last October, I got appointed – if not elected – as Director of Community Development of Chaktomuk Chapter, with Vichet as my Vice President, Johnan as Executive Vice President, Sophear as Local President and a lot other outstanding young fellows in our Board of Directors. This is going to be another commitment of mine for 2014 as I can share more time with community and social work within a global organization like JCI. Although I resigned as an investor to SmallWorld, Sak called upon me to conduct mindset training with him for an accelerated program on entrepreneurship as part of his Center’s incubation project. It was quite rejuvenating to resume my past activity, which I believe to change people inside out. I kept attending networking events, but perhaps less than previous years, as I had to focus more on business operations. I have these groundbreaking chances anyway to learn from business figures like Mr. Ing Channy (ACLEDA’s President), Dr. Quach Mengly (Quach Mengly Group’s CEO), H.E. 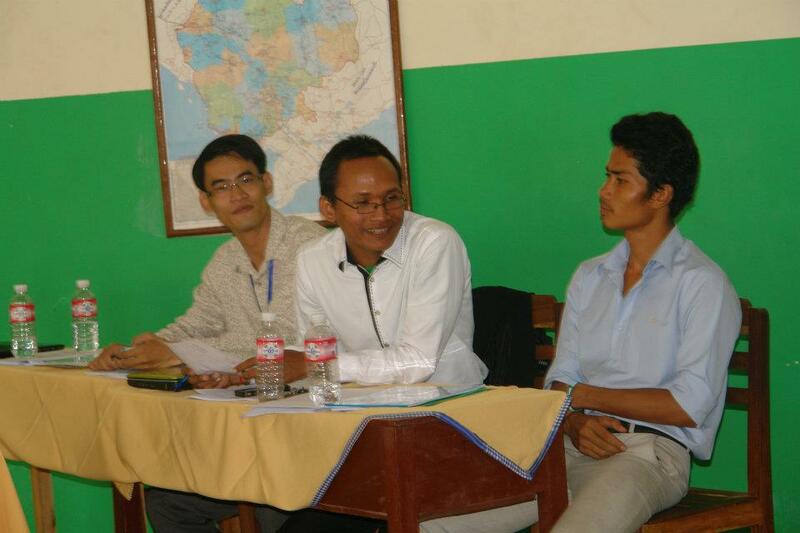 Sok Siphana (Advisor to RGC). On a personal level, some of my great friends lost their singledom: Udom (Mastermind Club’s 2014 President), Chhorvuth (I’ve known since DMI training in 2008), Kimlong (young brilliant photographer I’ve befriended since our Koh Ker teaser project). As life goes on, the New Year is probably the most hopeful period to make things better. Of course, I’m going to pursue my film passion. But as I learned from “3 Idiots”, I will make it my profession or business. On an artistic level, a 15-minute short movie is being planned. I also want to write a book either on business or love, as I know you’re reading this because you like my writing! For sure, with my business registration, I’m looking to standardize all the processes, especially with more staff. Also, if you see me post real estate updates once in a while, it’s because I’d like to be gradually involved in this new business. To balance my life, I am aiming for four community projects, mainly with JCI. Last, but not least, I hope for an addition to my little family within this year! I’d finally like to thank you for taking part in my 2013 and/or interest in reading my review. It’s all because “Life is a daring adventure or nothing at all”. What was your 2013 adventure like? Let me know! How did 2012 treat you? I hope it was not bad, because, at least, we all survived the so-called end of the world by the Mayan calendar! Mine was overall so hectic that I changed my habit to sleep after 01:00 am. The most outstanding moments of the year for me were FilmCamp, my trip to North America, Khmer Film Foundation and, of course, my marriage. Our official relationship started on the New Year’s Day of 2012 when my beloved wife Sophanit celebrated my birthday with her time off with me on a little-visited Koh Rong. As both of us were quite “ready”, we agreed to organize the engagement as soon as on March 08. I had to wait eight months until I got married with her. So you may wonder why I chose her. Over time and despite some rough moments, she represents everything to my life. She is my sister because she takes care of my clothes and image! She is my (moral) teacher because she teaches me how to behave in public! She is a motivator because she keeps encouraging me to keep up what I’m doing. She is a friend because she is always there listening to all my problems. She is a great lover because she has a lot to give to me. 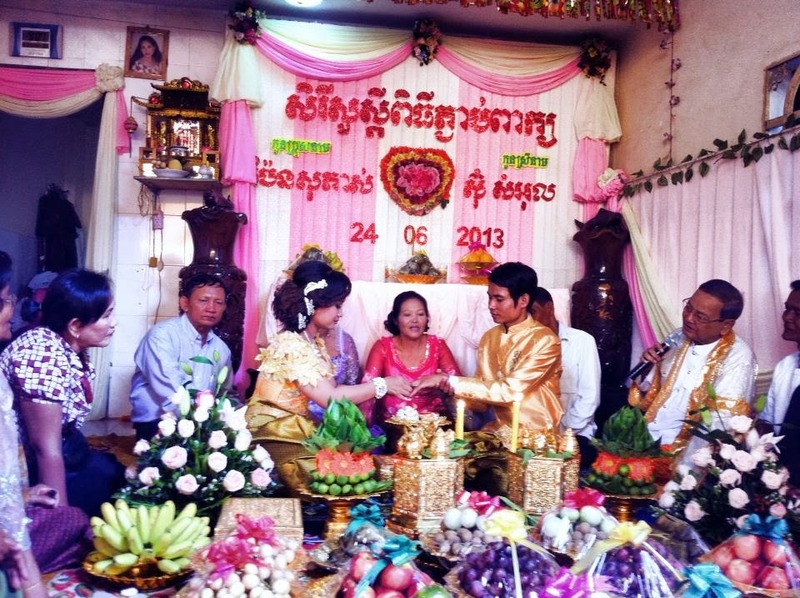 So she deserved to marry me twice: November 19, in Siem Reap and November 24, in Phnom Penh! I must admit that the one in Siem Reap was more official and packed. Yet, as Phnom Penh is my “territories”, I personalized it with a re-proposing surprise and our love story slideshow. Besides, my family welcomes another new member: Belle. She is our youngest niece born in late June to my “still spoiled” youngest brother. My younger sister Len has a boyfriend who she’s planning to marry soon and still helps vegetable business grow bigger and bigger. My elder sister Yen keeps focused on this business as she has vowed to stay single for the rest of her life while preferring to take care of all her nieces and nephews. 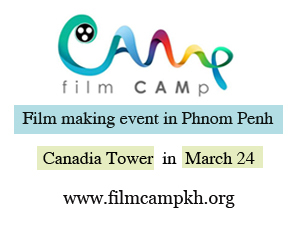 After my trip to Vientiane for FilmCamp Laos with Rithea in 2011, we decided to organize in late March with the rest of Kon Khmer Koun Khmer team the Cambodian version: FilmCampKh or FilmCAMp. Alongside, Rithea came up with the idea to found Chaktomuk Short Film Contest, which exposed 15 talents with main sponsorship from B. Chy Sila/Sabay Entertainment and H.E. Quach Mengly/American Intercon Institute. Although it was our first edition, we managed to attract over 700 participants. Of course, H.E. 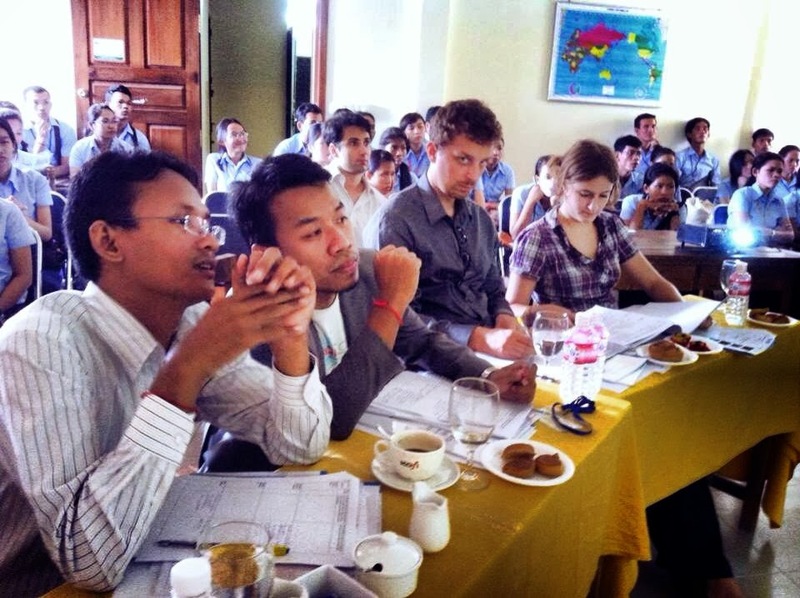 Khieu Kanharith and other partners keep (financially) supporting our initiatives. While our collective production for “The Ring” has been delayed for no committed filmmaker and the size of the production, Seila worked with Martin on an experimental film produced in Kep, in mid-September. We did use some monies we collected on the spot from FilmCamp! As result, the film was premiered during Cambodia International Film Festival 2012. I was also honored by French Institute to be part of the jury to evaluate short films submitted to its 2nd edition of Destination Francophonie 2012, in late May. What a return: I used to be a student there. Then, I was invited to help with their contest! 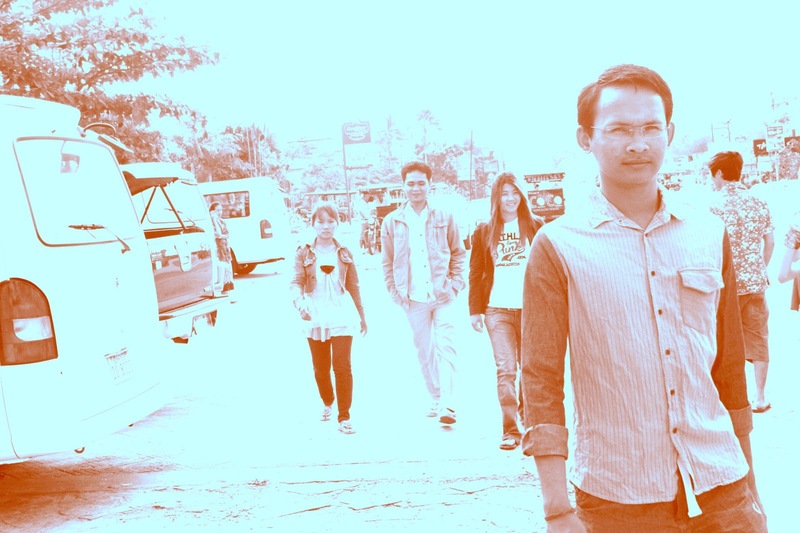 Then, I became involved in another team founded by B. Chhay Bora, called “Khmer Film Foundation”. After our fundraiser in August with the screening of “Lost Loves”, I was assigned to be President of this baby organization. Ratana, who founded Kerdomnel Khmer for several years, becomes its CEO. Given my experience with 4K, B. Bora’s achievement with “Lost Loves” and Ratana’s thorough research on Koh Ker temple, we launched a first collective and ambitious project to produce a documentary on that temple and King Jayavarman IV. Although dragged over time, we’re taking it seriously this year as members are as potential as those I met in 4K. Due to my blog reviews, I have been still invited to premieres at Legend Cinema. I think I watched more than 50 titles over there with “the Hobbit” as a favorite. Yet, I found my other favorites at Platinum Cineplex: “Lost Loves” and “Frankenwennie”. 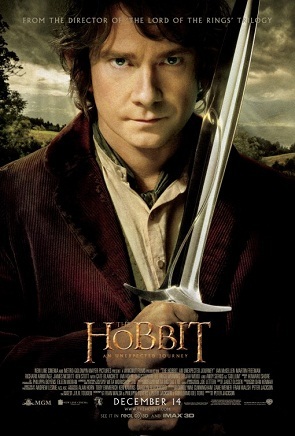 “The Hobbit” seems to bring me to another world of wonder with its special effects and breathtaking landscapes. “Lost Loves”, directed by B. Bora, keeps touching my heart no matter how many times I watch it. For that emotional directing strength, it deserves to be nominated for an Academy Award for Foreign Films. “Frankenwennie” is just a simple black and white animation I watched during the closing of Cambodia International Film Festival 2012. Yet, its message is quite relevant with today’s global development: science with a heart. As my full-time business, CallMe Translation Services, is growing, so is my pool of freelancers. They represent my invisible army to fight a competitive industry like translation. Our most profitable service is transcriptions from Khmer to English. Of course, my film involvement does add value to this growth. Alongside, I’ve posted more updates on our Page, as to at least retain existing fans! 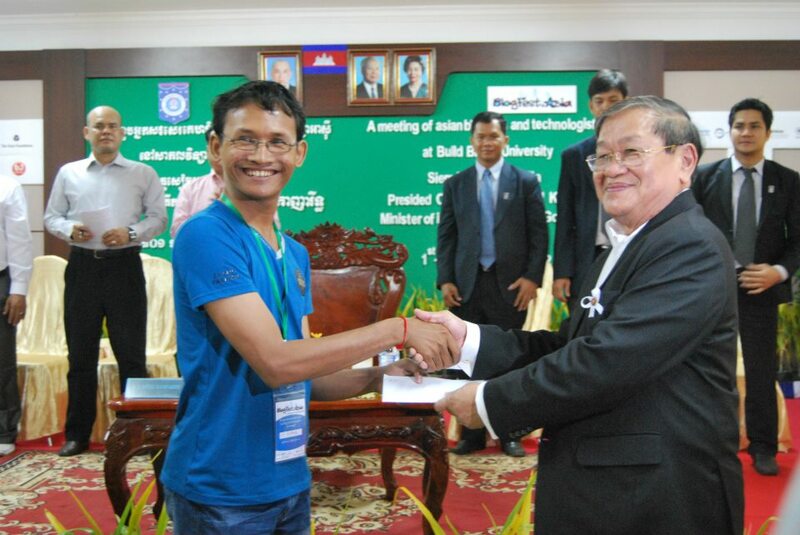 Plus, we contributed to social events like BarCampPhnom Penh and KhmerTalks. The amount was not much, but I believe it was enough to maintain our brand on the market. Given my enlarged relationship, my business has been more and more exposed to the public. Thanks to Seiha (Mech), I was interviewed by SEA TV and broadcast in “My Life” show in late August. 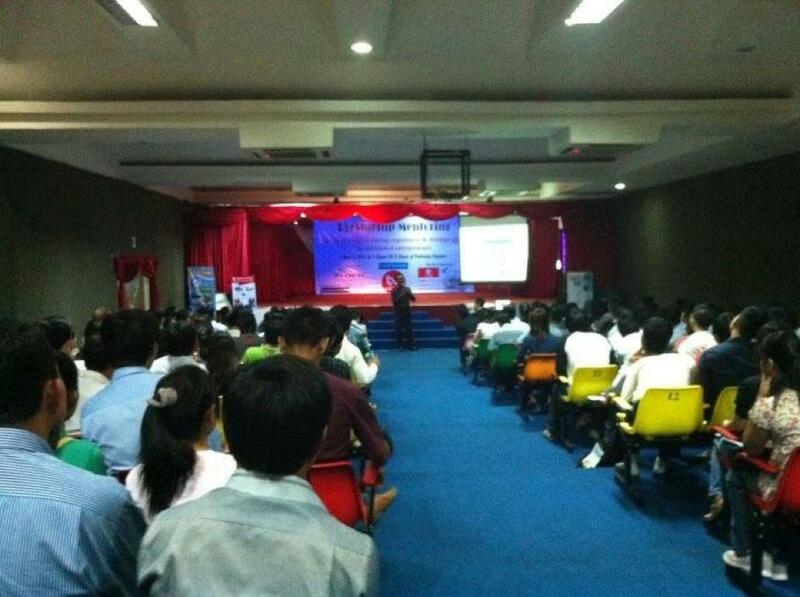 Thanks to Seyha (Hoeum), I managed to impress about 200 participants about the value of social media to SME. Thanks to Rithy (Lim), I was invited to be a jury member of his students’ business plan competition. What shocked me most was when Sokphan, one of the PSE students who attended my speech, came to tell me that he wanted me to remember him so he could partner with me in years to come. But I’m not a lonesome entrepreneur because I’ve kept my tradition to meet my Mastermind Club fellows every weekend. 2012 saw me less present as, some weekends, I spent with Sophanit in Siem Reap! And the new President is Raksmey, the first female of the team who deserves such a role for her result-oriented spirit and outstanding selling skills, despite her first-time motherhood. Still, my challenge is to find a full-time translator or manager so I can jump into another business. As I’ve been assigned more part-time responsibilities, I have less time to get my day-time jobs done. So virtually every night, I slept after 1:00 am, completing all the left-over tasks/projects. Needless to say, I’ve become a coffee/energy-drink addict although I never wanted to, originally! And you still wonder why 4/10? Well, I meant I have achieved 40% of my business goals by 2012. I have yet to find the right people, systematize and legalize it, locate it better and more. Let’s Do It PP 2012 Campaigner? Maybe it’s a bit exaggerating to call myself “social (media) activist”. But if you believe that other people’s view is your reflection, then, this is how they find me! 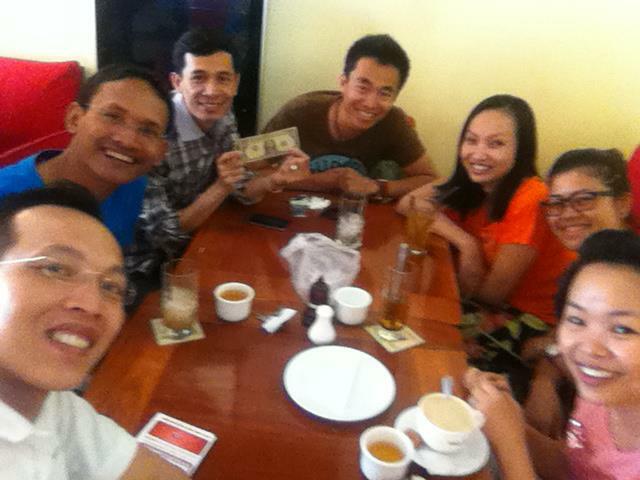 The main social or community activities I’ve taken parts in throughout the year were those with JCI Cambodia. It is an organization that encourages us to become a global responsible citizen. One of the most outstanding projects I was part of was Let’s Do It Phnom Penh 2012, with other thousands of people. 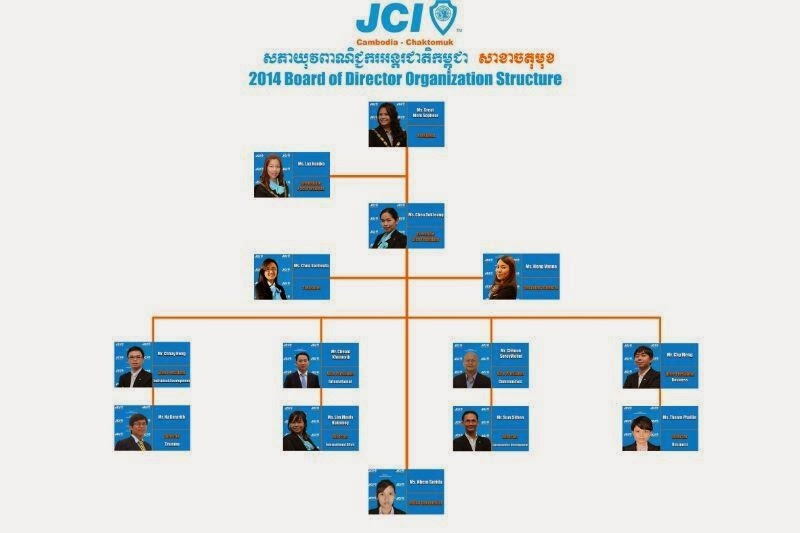 Besides, I helped coordinate JCI Chaktomuk Facebook Page which is now run even without my control as the fastest-growing of all the Pages I’ve ever administered. The other social contribution I made was to SmallWorld, which I describe as an entrepreneur incubating center. 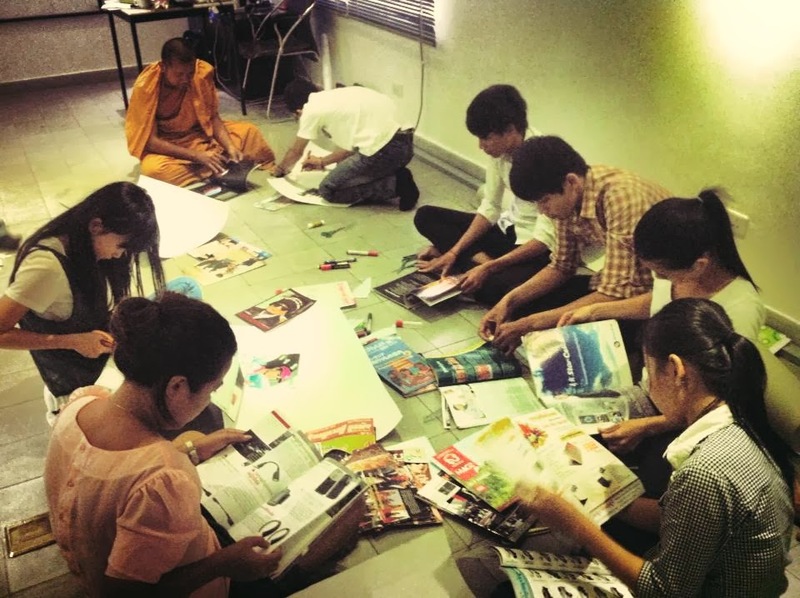 However, this center is run as a social enterprise that seeks to self-finance by an adventure friend Rithy (Thul), a long-time business friend Sakada (Sam) and other young Cambodians. I’m not sure how my humble investment (or loan!) could help them. But I kept engaged in their activities from time to time just to make sure the center remains active. Of course, one of my ambitions is to see other people run their own businesses, instead of working for other people for the rest of their lives. Although, in 2012, I tried not to Facebook during working hours, I found myself a lot more active on that site during spare time! Some of you might say I’m online 24/7. Well, it’s just part of the truth! I also created and have run six other social media site accounts like Twitter and LinkedIn for my side activities. Of course, as mentioned above, my blogging habit entitled me to many premieres throughout the year. But, in November, it allowed me to win the second prize from BlogFestAsia 2012 Competition. And you know where number one and number three come from? The Philippines. 2012 was also remarkable for me as some of my friends like Pheaktra, Chamroeun, Samnang/Veasna, Rithysak, Phary, Seila/Vannsan, got married in that year. And I found it a bit weird that even Zuckerberg changed his relationship status to “married” in that year, as well. Of course, he’s not my friend (yet)! Locally, I’ve been a lot to seaside provinces like Preah Shihanouk and Kampot with my family. We did re-visit Bokor after its development during Pchum Ben Days. The longest and newest destination for us was Mondulkiri, during Khmer New Year. It was my second time there, but I still love its unique sceneries along the road near the provincial town. 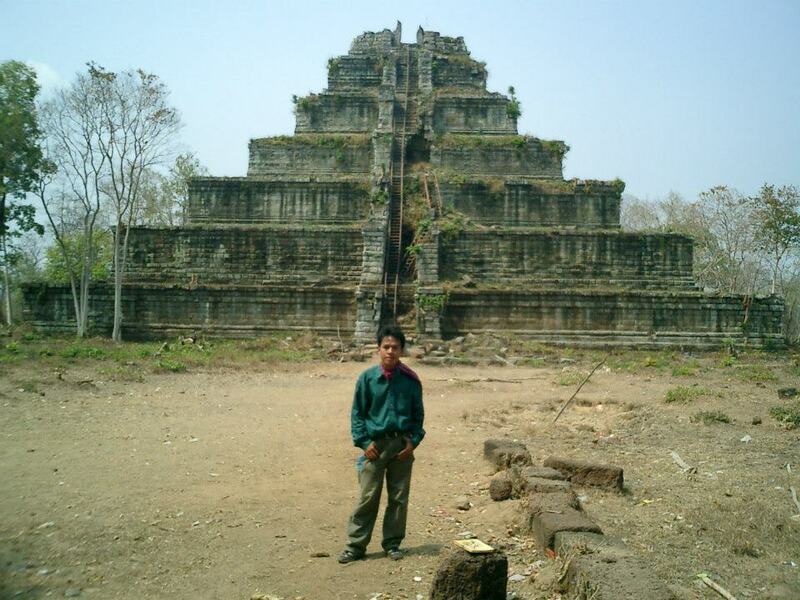 I’ve also been to Siem Reap countless times. You may know why?! 2012 was a special year as I could be alone with someone I do love like Sophanit. Of course, besides Koh Rong, we’ve been to Nataya resort (Kampot), where I celebrated an unexpected birthday for her. 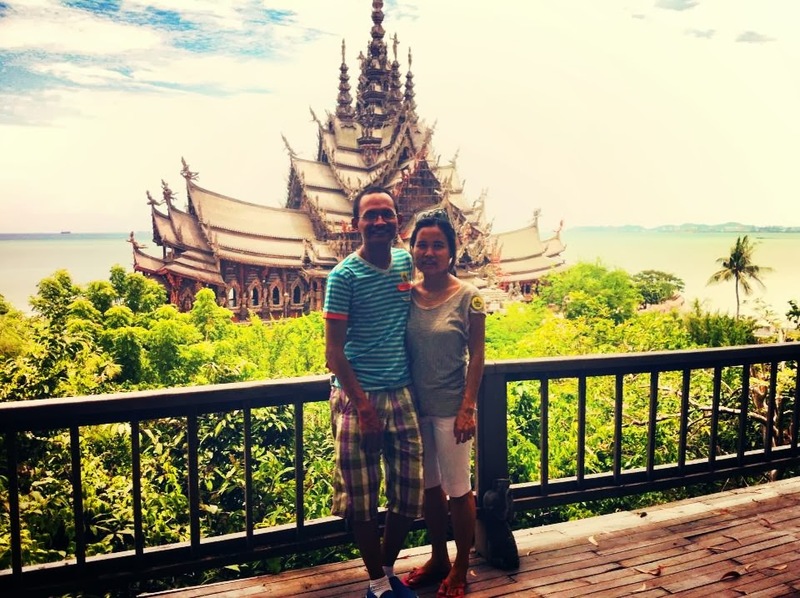 In May, we had the chance to visit Thailand together. But she had a Rotary convention to attend after my earlier departure. So I kind of kept her company for nearly a week! Then came the farthest, yet most rewarding destination for us: North America. Thanks to our family friends, the Echenbergs and our efforts to work on their school project so far, we made it sound and safe and enjoyed our discovery of Canada (Montreal and Toronto) and the US (Vermont and New York). Believe it or not, we also lost the chance to visit the land of Uncle Sam, despite our visas! The details can also be found on my blog. – “Closer” relationship: I’m not sure how close we can get. But the distance should not keep us from staying in touch. I’m not trying to prove anything, but I’ll do all my best to remain in love with my only Sophanit. – FilmCamp and Chaktomuk Short Film Contest 2013: We’ll make it bigger and regional. Save March 23 in your calendar if you feel like attending it! – Koh Ker: It is a project that marries my passion and responsibility that embarks on a more ambitious journey than previous years. – The Gold Ring: It is high time for us, 4K, to commit to making it happen although I need to pick the same director for this new movie. –Mastermedia: We, at Mastermind Club, name this new business project so, because want our customers to “master” their online marketing to reach the “mass”. – Own production agency: Although I haven’t come up with any name yet, I somehow feel this year is the right time to partner with like-minded people and start working some small projects. – Business license: As I want to expand my business market, a legal protection will make CallMe translation services more attractive to big clients/institutions. PS: The next post will switch back to the movie review, about “3 AM” (Thai horror movie).